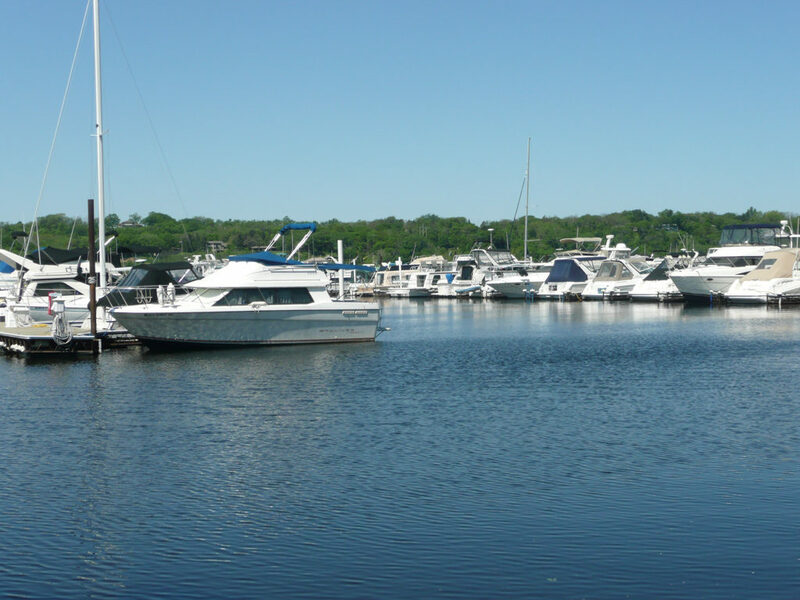 St. Croix Marina in Hudson, WI is located just steps from beautiful downtown Hudson and Lakefront Park. In addition to annual slip rental, the marina offers a comprehensive service department, as well as transient slips available with laundry and shower facilities. Hudson, WI is a lovely city located on the shores of the St. Croix National Scenic Riverway, a federally protected riverway managed by the National Park Service. When boating near Hudson, you will find the river an enjoyable place for recreation, with many islands with fine sandy beaches to explore, public parks, and great fishing. There are many places to tie your boat along a levy to enjoy dining and shopping in the towns along the river, including Hudson, WI, Prescott, WI, Bayport, MN, Afton, MN and Stillwater, MN. John and Becky Durham are top selling real estate agents in both MN & WI, specializing in the communities along the St. Croix River. They are avid boaters and enjoy the beauty of this lovely scenic river way, and try to get out on their pontoon boat whenever they can. If you would like to learn more about homes for sale on the St. Croix River, contact John and Becky today! "Last fall we took our home off the market after trying to sell it for three and ½ months through another real estate company. We then listed our home with John & Becky Durham this spring and were... continued"